Home > This Is The Police > Short 'n Sweet reviews: Games ported to Nintendo Switch edition! Short 'n Sweet reviews: Games ported to Nintendo Switch edition! The Nintendo Switch is getting an absolute deluge of games released on it each week now, and many of those games are ports of titles released on other platforms, and (apparently) easy enough to port to the new kid on the block. We've got reviews of all the below games on their releases to other platforms, but I figured I might as well check out some of the significant recent releases and provide some of my own thoughts around them (or, at least, how they compare on the Switch to other platforms). Cat Quest is a delightful and charming little RPG from a Singaporean developer. 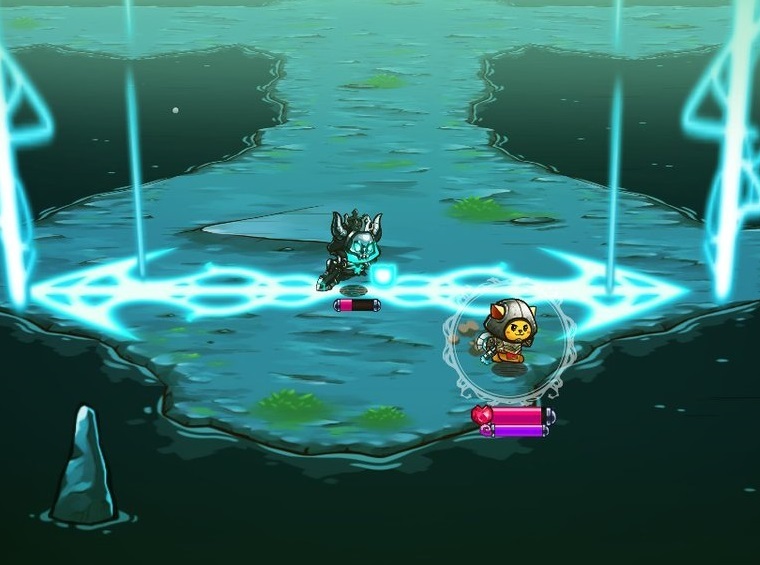 "Simple" really is the operative word to describe the game, because the whole thing has been simmered down to the most fundamental RPG experience. Most of the game involves taking on a quest from one of the quest boards dotted around the map, following it to an objective marker, stabbing whatever you find at that marker, and then collecting loot. Sometimes you'll need to go into a dungeon and stab everything in there to get the loot. Related reading: Ginny absolutely loved every second of Cat Quest. Her full review, as an alternative point of view! There's almost no variety to the game; that's all you'll do. So why will you find yourself spending hours doing it? Because it's so charming and cute. Your cat hero skips through the world with the most delightfully twee spring in his step, the colourful bunch of characters you'll meet along the way will never cease to bring a smile to your face, and the whole experience is so streamlined and clean that it's difficult to stop playing. And then there's the dress-ups. Ohhhh the dress-ups. Every hat or helmet (complete with gaps in the top for your cat hero ears), every suit of armour and every weapon is just adorable on the little fellow, and because duplicates of equipment actually level up the base weapon or suit of armour, you'll constantly be swapping between whichever one is best levelled at that point in time. It's a remarkably clever way of streamlining the equipment system of most RPGs, and getting you to keep swapping around the look of your adorable character. 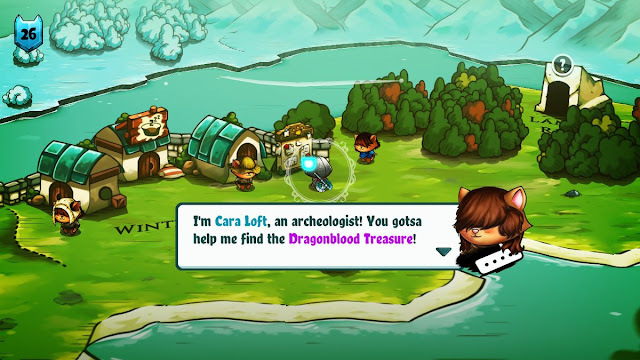 In the end, though, it remains true that Cat Quest is a hugely reductive game that strips the RPG formula to its very roots, and that lack of depth becomes tiresome towards the end. I'm glad that this is not a game that outstays its welcome, but at the same time it's not a game I'll remember, beyond that adorable skipping run of my adorable little furrball. This port of the most recent Farming Simulator to Nintendo Switch is certainly a cut above the previous handheld Farming Simulator titles. As much as I enjoyed the various editions that landed on the 3DS and Vita, they were certainly watered down experiences. This one is not. Related reading: Matt's short review of the Nintendo 3DS edition of the game. 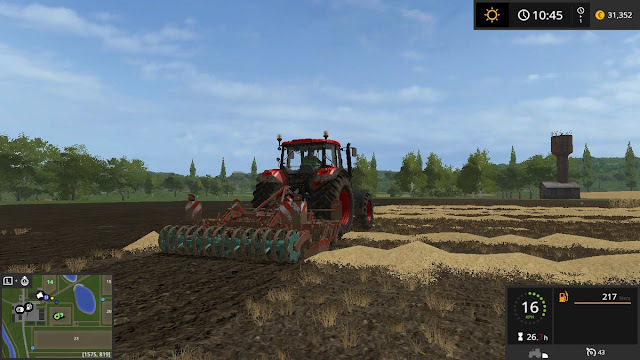 Farming Simulator is a niche game, of course, and it's there for people who are interested in a more detail-orientated take on farming than, say, Harvest Moon. Much of the same equipment that real farmers use is in Farming Simulator, as are the commercial challenges. You'll quickly come to realise that as good as it is for the consumer, the price wars that supermarkets get up to on staples isn't particularly good for the farmers themselves. The experience also naturally fits with the Nintendo Switch and handheld gaming. The budget to make these games is never big enough for them to look great on the big screen television, but on the Switch, the smaller details aren't missed (because they wouldn't be there in the first place), and instead the scale of the game's world, and its field after field of gorgeous growing crops, becomes the focus. It's a laid-back, relaxing, and calming game to actually play, and that makes it ideal for the commute home after a stressful day's work. There are minor issues; the game has a painfully bad texture pop-in problem on the Nintendo Switch, to the point that it actually affects the gameplay; it can be easy to miss patches of crops when you're harvesting, or miss a spot for planting the next round of seeds. I don't remember the issue being that significant on PlayStation 4. I also have the vague impression that when I was out and about and driving around town on the PS4 version, there was a greater sense of activity; on the Switch you feel like you're in a very sleepy community indeed. So sleepy no one actually wakes up. Of course, that's a completely superficial element that has nothing to do with the gameplay beyond building atmosphere, but it's noticeable enough that in an odd way, I really care. Short 'n sweet reviews don't give me many words to play with, so I need to be really careful about choosing the right ones; This Is The Police is an absolutely brilliant game, but it's also a terrible one. Related reading: Here's Lindsay's glowing review of the game on PlayStation 4! On the one hand, it's brilliant in the scenario writing. You're a retiring police commanding officer, trying to get buy on your last few days without causing any trouble. Your job is to manage cop rosters, make sure crimes get solved, and people protected. Your job is made more difficult by the interest the mafia has in exploiting you, and the moral decisions you'll need to make about whether to help them, or risk everything in resisting them. It's hard said than done, and some of the decisions you'll be asked to make are brutal. We're talking "help your oldest friend at the expense of your integrity, or keep your integrity and independence from the mafia, knowing you'll be sent a photo of the decapitated bodies of your friend and his family, right down to his little kids." On the other hand, the game doesn't play fair with the consequences. In the aforementioned scenario I opted to keep my independence from the mafia, let my friend and his family lose their heads... and then the mafia started calling favours in anyway. 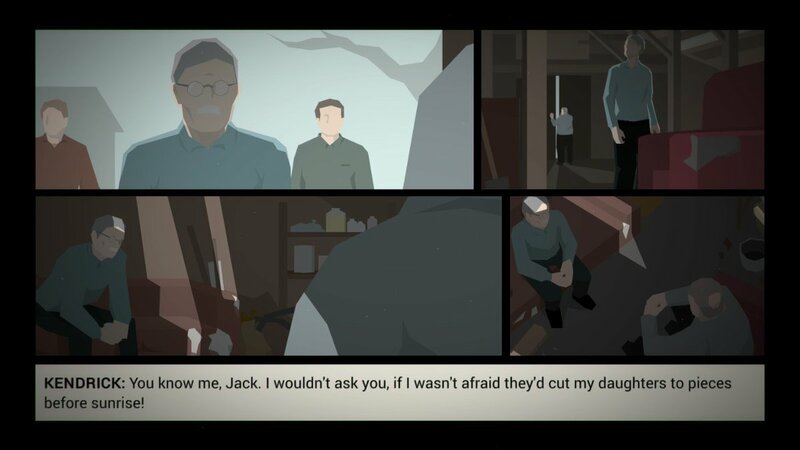 I know it can be difficult writing meaningful consequence into a narrative when you need to continue the game going (and This Is The Police would be ridiculously easy if the mafia weren't a thorn in your side), but going for superficial consequence to make an impact, and then have the gameplay pretend nothing happened is a cheap way of playing with emotion. This Is The Police aims to be something of a higher production values take on Papers, Please. For the most part it succeeds, and certainly Lindsay loved in, as you can see from her perfectly fair take on the game. But truth be told the simulation/ strategy gameplay isn't that involved, so what I was left with was the narrative storytelling, and while every moral conundrum gave me real pause to think, too often I thought my emotions were being exploited and toyed with by a game that was going to play out the same way regardless. That in itself is worth talking about in the context of a conversation around determinism, but I was still left feeling a little cheated, truth be told.